There are no coupons in today’s paper and none in next week (Christmas Day) either. With the new year coming up soon- take some time to clean out and get organized! Clean Out: Use The Expired Insert Checker: to clean out the expired inserts that you have. Then send the expired ones to our troops overseas! They can use them up to 6 months expired. Set Up For Success. Having piles of coupons with no organization is the fastest way to coupon failure. There is no right way to organize but find one that you will keep up. Print any 2016 Coupons you want. Since 2011, Harris Teeter has held a coupon event the first full week of January. Our coupon stashes will be very light- so print any that you will want for the event! Get Resourceful: Get the Coupon Tool to make your grocery lists. Get the Free MoolaSavingMom app. Check out the Couponer’s Tool box here. 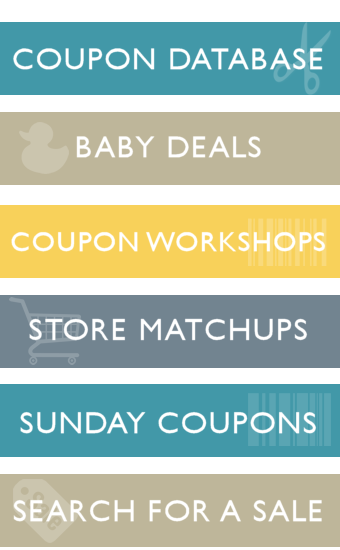 Use these no-coupon weeks to do a coupon cleanout! File everything that’s piled up and start 2017 fresh! Completely new to couponing? Want to spend much less on the groceries you need? Checkout the Learn to Coupon series here. Here is my shopping trip today! I went to Harris Teeter & Lowes Foods! I accidentally left my Coke on the table 😉 They were B2G3 last week so you know I stocked up on my Coke Zero! I plan to use stockpile Pasta sauce and the meatballs and sub rolls to make meatball subs for dinner tonight! I ran into Harris Teeter for the freebies today and decided to grab my All Detergent too! My Weekly budget is $75 a week. I’m trying to be better about sharing my trips so you can see that shopping on a budget and eating REAL food is possible. Remember not to judge by a single trip! Currently I have plenty of meat in the freezer and enough canned and frozen veggies to last a while too! Plus plenty of butter, eggs, and breads. With a mature stockpile, I have the luxury of only buying what is at a great price. Here is my Shopping Trip today at Harris Teeter. *Note: I would have bought the mascara at CVS because it’s a much better deal there (see that deal here) but I wanted to test this deal to be sure it worked so I splurged so I could confirm it! It amazes me how the size of a package can alter the price of a product so much! Always look at all the sizes and options. Here’s a good example at Harris Teeter this week. 4 ct Snack packs are $1 or $0.25 per cup. 12 ct Snack Packs are $2.59 or $0.22 per cup. It’s $0.03 less per cup to buy the 12 ct on sale than it is to buy 3 -4pks. That could change if one or the other isn’t on sale. At regular price the 4 pk are $0.279 per cup and the 12 ct is $0.274 per cup. Very very small difference. As a frugal-ista, I know that those pennies add up and with 4 kids so do pudding cups! My point is- always look at all the size options before making a purchase. Sometimes bigger is better and sometimes lots of little ones are better. Pull out your phone and use the calculator to do a little math before putting things in the cart. I went to Harris Teeter yesterday & I’m TRYING to be better at sharing my trips so you can see how a real person coupons! This isn’t Extreme Couponing and we don’t eat Ramen Noodles every night….. for better or for worse- here is my trip! Rosemary & Garlic Skillet Chicken with Mac & Cheese and Broccoli on the side. The only items I used in this meal that I actually purchased this week were the panko crumbs to top the Mac & Cheese and the broccoli! Everything else was from my freezer or stockpile. My weekly grocery budget is $75/week to feed a family of 6. By buying most of what we use at the lowest price possible and stockpiling it- I basically have a grocery store in my house! I love it because if I can’t shop- we can still eat really well. I love spices & herbs. If you saw my spice cabinet (it’s too big for a rack) you would think I was a hoarder. I just love how a dash of this or a pinch of that can turn a meal completely into something else. Spices can be expensive though so here are a few tips for spending less on these flavorful additions. Head for the international brands. In my family growing up- spices meant the McCormick bottles. When I got married to my husband, whose family is from Mexico and we’d go shopping- he’d head for these little bags of spices that I had always passed by without noticing. It’s amazing how the same spices can cost so differently based on what aisle they are purchased on! The international section of the store will have spices from all over the world- much cheaper than the bottled variety. If you don’t like having all these loose bags- invest in a pretty spice rack to put them in. Grow and Dry Your Own. Seed packets are SO cheap. We can usually find them 4/$1 at the Dollar Tree and spices grow fast. You don’t need anything fancy- they are easy to grow. If you want to go all out you can even get an inside AeroGarden to have fresh herbs all year long. Shop the Sales. Generally we see the biggest and best spice and herb sales during the Easter, Thanksgiving and Christmas seasons. We see BBQ rubs and spice mixes on sale during the summer (grilling) season. Stock up during these times and you won’t need to pay full price during the rest of the year. We usually see some coupons for spices during these times too. Check the discount stores. We’re not a gourmet family so having the super fancy (super expensive) chili powder or oregano isn’t vital to us. The discount and drug stores often have amazing prices on bottled spices and herbs. The Dollar Tree has all the basic spices and herbs for just $1 (sometimes less) and I’ve seen them for $0.50 each at Walgreens too. Keep an eye out for clearance. When a brand changes packaging, they often clearance out the old bottles to make room for the new designs. Perfect time to stock up. I got some $8 bottles of spices for under $1 on a clearance sale. The expiration dates were still really far out so I stocked up. According to Still Tasty (one of my favorite reference sites)- spices will stay fresh about 2-3 years and dried herbs 1-3 years. Keeping them n a cool dark cupboard keeps them fresh. Whole spices and herbs will stay fresh even longer! Need More Money Saving Tips? Need more money saving tips? Join our FREE e-Club to get deals, discounts & ideas in your inbox! Register for FREE here. My husband took a new job last month- one that switched us from twice a month paychecks to every 2 weeks. It’s been a bit of a change for my budgeting so I thought what a better time to re-share how I budget on this always changing schedule! Budget off 2 checks a month. Some months you will get 3- but you will always get at least 2. Always budget on the least amount of money you expect a month. Always better to be UP income than DOWN. Put as much in the starting “bucket” as possible. Whatever money you can start off your budget with- the better. This gives you a buffer so if several bills are due on the 10th but your check doesn’t come in until the 12th you have a buffer to protect you from overdrawing. Pad your savings. That third paycheck you get a few times a year? Put it into savings. Pretend you never got it. This will help build that buffer even stronger. If you have a strong budget you won’t “need” that third paycheck to cover the bills. I set aside a certain amount from each check to cover the “big” bills, like the mortgage. Get a calendar and estimate your bills. Highlight paydays and write in the amount you expect (again estimate the lowest amount you’d expect) and then write the due dates of each bill (over estimating if necessary). I’ve put a made up example below with made up numbers and bills. Walmart has sponsored this post. We’ve never been a big television watching family (now movie night is another story) and we’ve tried satellite. 175 digital channels – sounds great right? All the options- never be bored with what’s on the TV! Except we only watched about 5 of them. In fact, the average cable subscriber pays for 178 channels and watches only 17. We were paying for a lot more than we were using. Want to stretch your budget? Only pay for what you watch. Instead of paying for channels like the Golf Channel, MTV (I think I’ve outgrown it and my kids are too young), QVC or 27 music channels- why not pay for the ones we watch like home makeover shows, the cartoons and the news? Why lock into a long term contract that has to be bought out when things change? Want to cut the cable? Start by visiting the Cut the Cable calculator to see how much your current cable or satellite service costs compared to the cost of a broadband internet service and the individual streaming services like Netflix and Hulu. Eye Opening isn’t it! Start streaming. You’ll need a wireless router in order to stream the channels that you will actually watch. Your internet provider can rent you one but long term- it makes more sense to buy your own wireless router. Walmart has everything you need in order to stream your favorite shows. $8 per month rental fee versus a one time cost of as low as $17.50 by purchasing your own router! You’ll break even buying your own router in just over 2 months. Plus you won’t have the hassle of having to return the router if you change providers. Need to replace your TV? Consider a Smart TV, which can avoid the need for other streaming devices by offering apps right on the television itself! Walmart also has a great selection of Smart televisions. (Tip courtesy of Walmart: Buy a TV half the size of the distance from your TV to your chair. Sit 80″…get a 40″ screen. Walmart has made it easy to stream in every room in your house with their Streaming Bundles. Want to step up your options? Add a streaming device like a Roku, Google Chromecast or Apple TV. We love our Roku, mostly because I never have to search for the remote. You can control it right from your cell phone with their app! Even if you can’t cut the cable completely, consider trimming it. Reduce the monthly bill with your subscriber by downgrading your package and add on a Streaming Device instead. Most bill on a monthly basis without requiring a contract or commitment. The best part? Streaming devices are not tied to your address! Going on vacation? Bring your Roku with you! Heading to grandma’s for the weekend- bring it with you! You can’t do that with a cable box. Personally, trying to put together a package of the electronics I need to make what I want happen is a bit overwhelming. That’s why I love when there are bundles to pull it all together for me! Walmart has Streaming Bundles to meet any budget or need. Walmart has sponsored this post. All of the opinions are mine. Many people say that couponing isn’t worth it because they end up (a) buying things they don’t need because they have a coupon or (b) are actually spending MORE money! And it’s true- with stockpiling many times you will see your out of pocket cost go up before your spending goes down. The reason why it goes up first is that they have no stockpile- so they are buying the items to create a stockpile PLUS buying what they “need” to feed their family (and keep them clean) for the week. There is a way to keep that from happening but it takes discipline and effort. This is my suggestion for not seeing your budget go up too much while starting out. And if it does go up anyway- analyze why and make adjustments.